On March 11, 2015, the U.S. Senate Armed Services Committee held a hearing on “Military Construction, Environmental, Energy, and Base Closure Programs.” The testimony of John C. Conger, who is “performing the duties of Assistant Secretary of Defense Energy, Installations and Environment,” is worth particular notice, as it directly addresses climate risks to the Department of Defense’s mission, and outlines prudent steps DoD it taking to prepare for and mitigate those risks. Here are the climate risk portions of Conger’s testimony (emphasis added). Climate change continues to be a priority for the Department. Both the 2010 and 2014 Quadrennial Defense Review (QDR) discussed that the impacts associated with a changing climate present a threat to DoD’s national security mission. I know there is interest in Congress on this issue, and many would like to ensure we do not take significant risks in response to climate projections. I would suggest that not only are we not taking such risks, but we are working to minimize the risks posed by future climate changes through prudent planning and analysis. First, it is important to understand that DoD looks at climate change impacts through the lens of its mission. In the QDR, we refer to climate change as a “threat multiplier” because it has the potential to exacerbate many of the challenges we are dealing with today – from infectious disease to terrorism. My focus, however, is on installations and infrastructure. Sea-level rise results in degradation or loss of coastal areas and infrastructure, as well as more frequent flooding and expanding intrusion of storm surge across our coastal bases. Facilities and transportation infrastructure are already impacted by thawing permafrost and melting sea ice around our Alaskan installations. The changing environment increases the threat to 400 threatened or endangered species our installations are home to, leading to increased probability of training and operating restrictions. Increased high-heat days impose limitations on what training and testing activities our personnel can perform. Decreasing water supplies and increased numbers of wildfires in the Southwest may jeopardize future operations at critical ranges. Our warfighters cannot do their jobs without bases from which to fight, on which to train, or in which to live when they are not deployed. When climate effects make our critical facilities unusable, that is an unacceptable impact. Even without knowing precisely how the climate will change, we can see that the forecast is for more sea level rise; more flooding and storm surge on the coasts; continuing Arctic ice melt and permafrost thaw; more drought and wildfire in the American Southwest; and more intense storms around the world. DoD is accustomed to preparing for contingencies and mitigating risk, and we can take prudent steps today to mitigate the risks associated with these forecasts. 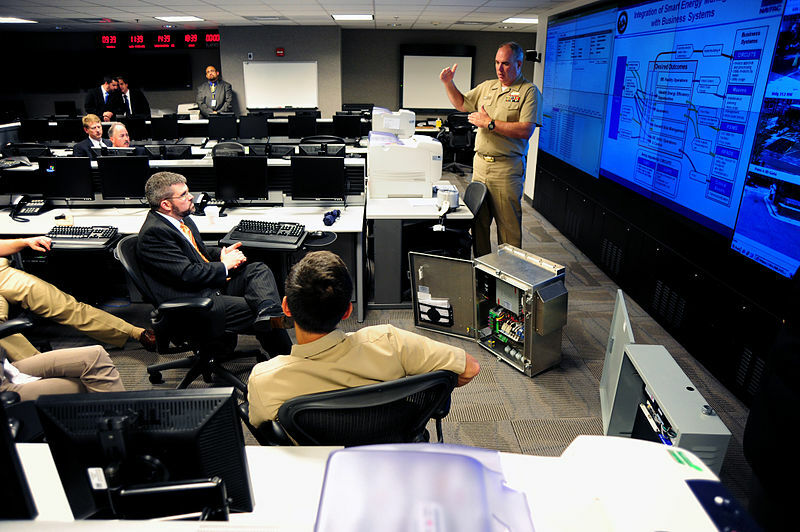 These range from the strategic (DoD’s Arctic Strategy) to the mundane (ensuring backup power and computer servers are not in basements where facilities are facing increased flood risk). In 2014, we released the updated DoD Climate Change Adaptation Roadmap, which outlines our strategy for responding to climate change across the Department. The Military Services have conducted initial studies that indicate critical installations in the West could run out of water within decades. Not only do we need to begin reducing this risk today, but we need to comprehensively review our installation footprint to identify similarly vulnerable installations. We are conducting a screening level assessment of all DoD sites world-wide to identify where we are vulnerable to extreme weather events and tidal anomalies today. This assessment will be completed later this year and will inform the Military Services more comprehensive assessments of individual site adaptation needs. Given the projected increases in major storm events, we’ve conducted a review of power resilience. We did a comprehensive review of installations to ensure critical capabilities have been identified, and have back-up power resources that have been tested and will work when there is a significant outage. We have reviewed Department-level directives, instructions and manuals to identify where considerations of climate change should be incorporated. We are continuing to update those policies and programs that provide the foundation of the Department’s actions to ensure we are considering the effects of a changing climate on our investments and actions. It’s not necessarily exciting to change a master planning policy, but when we decide to build on higher ground, it reduces the risk to those new facilities and is a wiser use of taxpayer funds. Our research continues on the effects of thawing permafrost on our Alaskan infrastructure, Southwestern extreme heat, Gulf and Atlantic coast sea level rise risks, and water issues in the Pacific islands. In conclusion, our goal is to increase the Department’s resilience to the impacts of climate change. To achieve this goal, we are dealing with climate change by taking prudent and measured steps to reduce the risk to our ability to conduct missions. By Caitlin Werrell and Francesco Femia in climate and security, climate change, national security on March 16, 2015 .